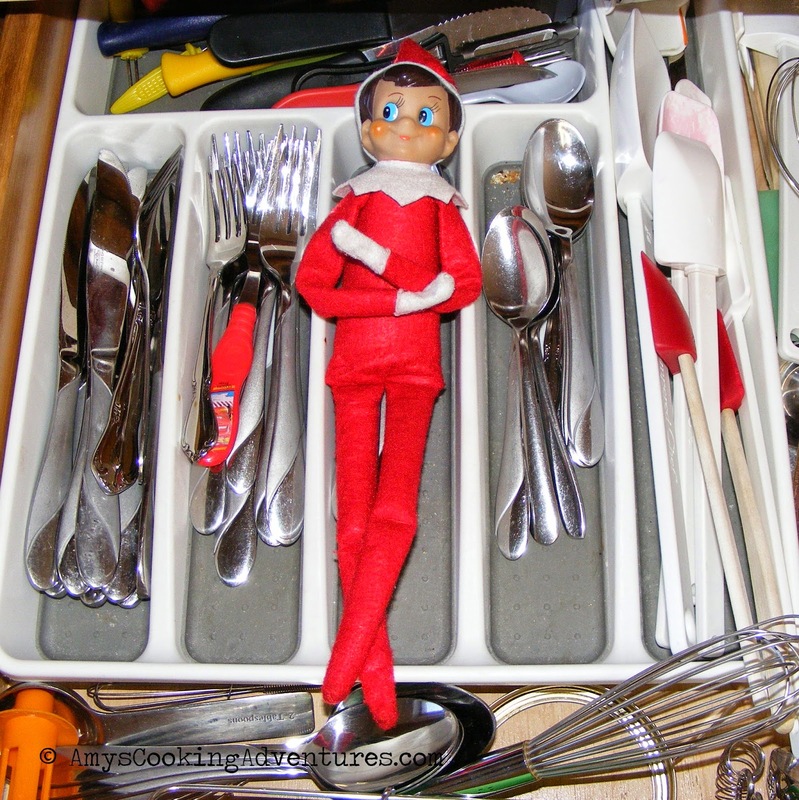 It’s Elf on the Shelf Season again! 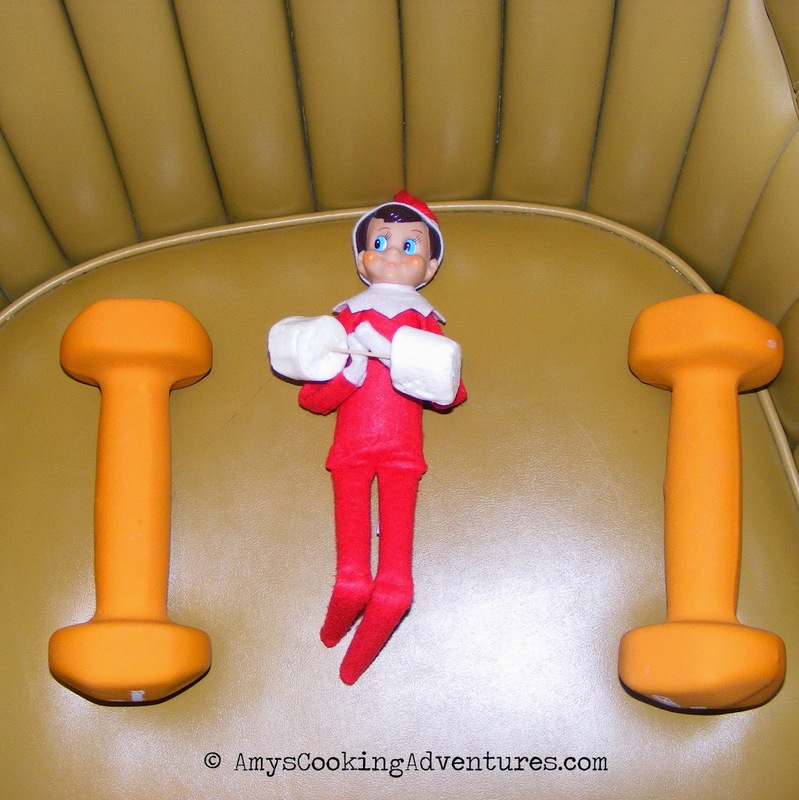 My two boys just love this tradition and I love thinking of fun things for the elf to do each day. 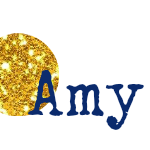 I tend to go about 50/50 with extravagant elf antics and easy stuff. I also don’t mind a few repeats here and there! 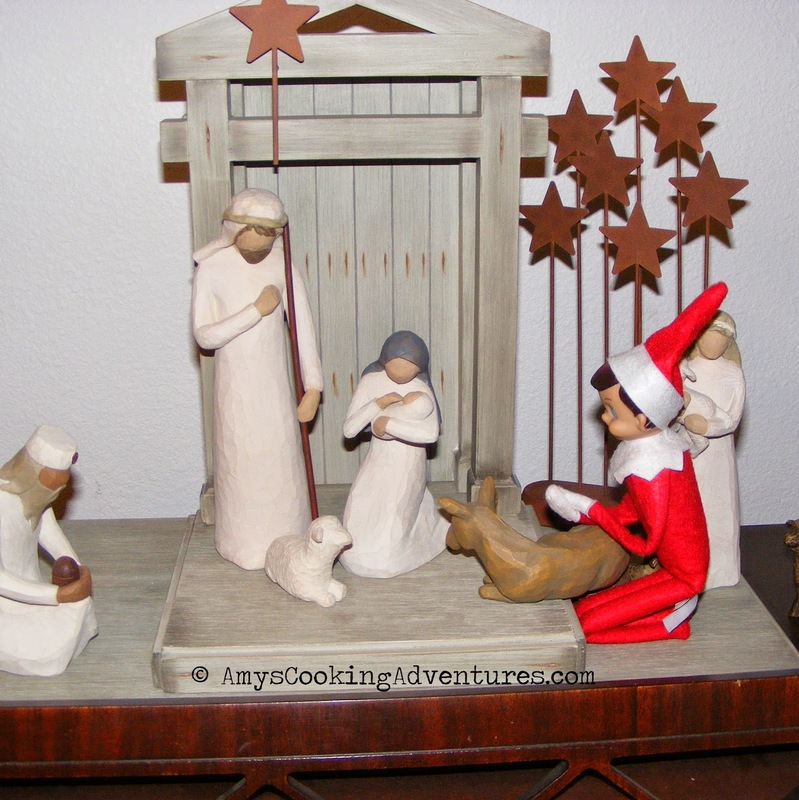 Starting with a classic, I always make sure Elfie prays to baby Jesus at least once! Little boys were awfully surprised when then reached for their cereal spoons! 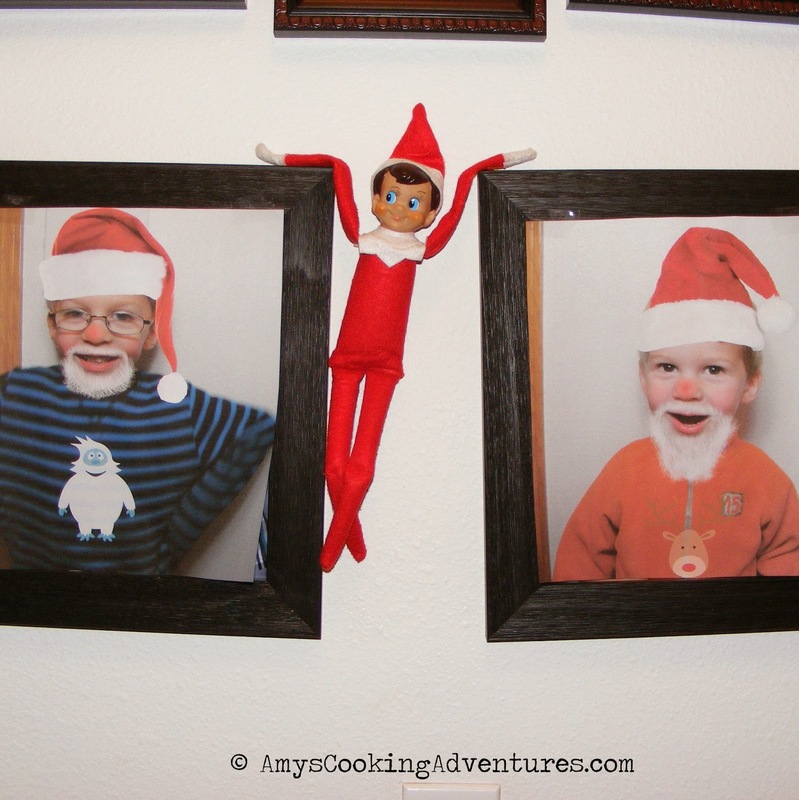 Elf photo shopped pictures of the boys & tacked them over their school pictures. Use caution with this one, folks, Dude was EXTREMELY upset by his picture being modified! 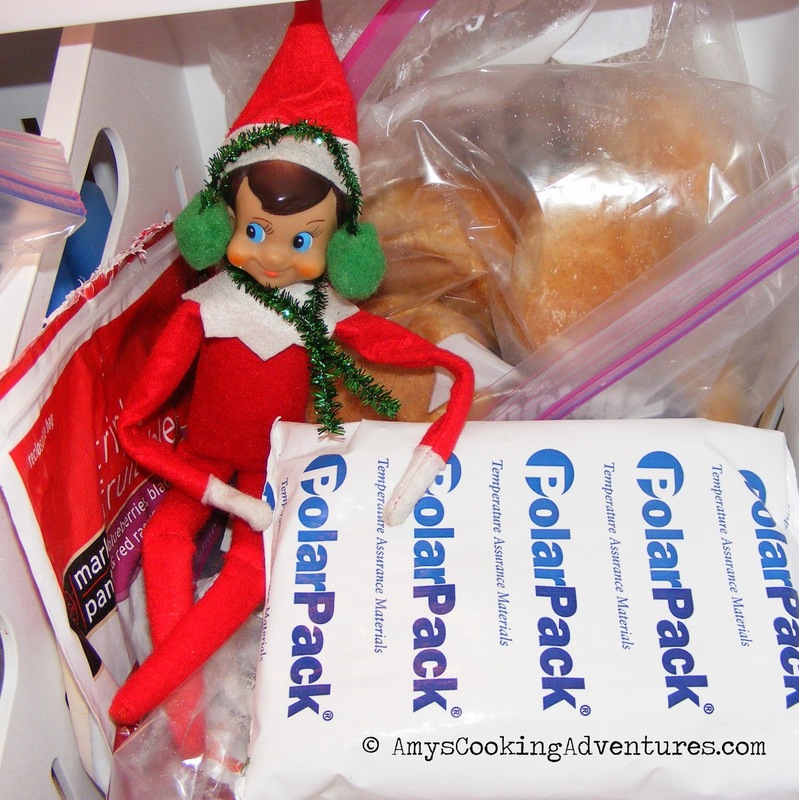 Elfie decided to help Dude find his ice pack for lunch - it was awfully chilly in the freezer! Oh Dear. 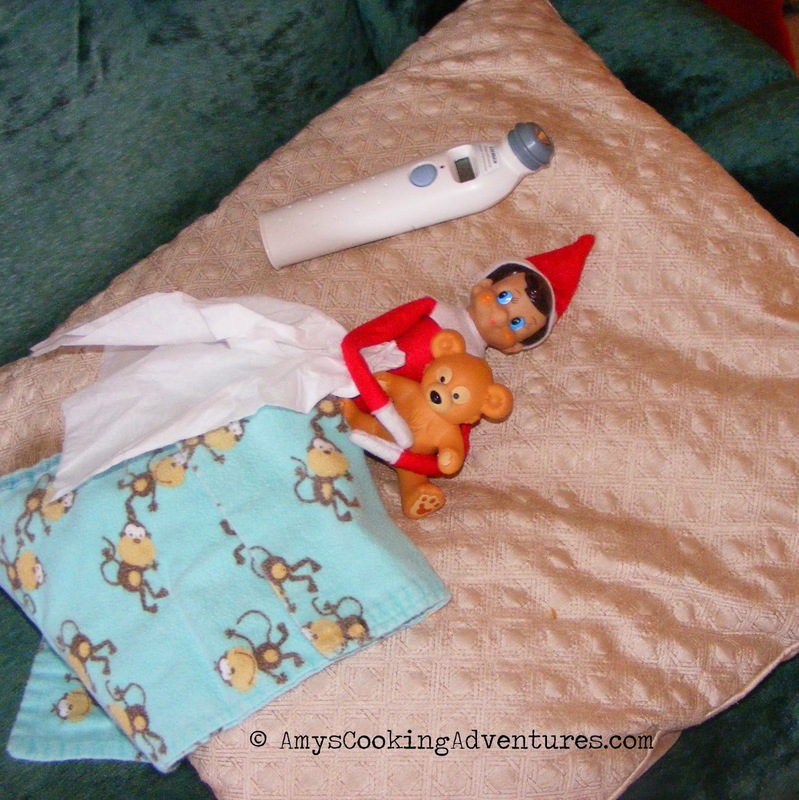 Elfie got sick from being in the freezer yesterday. This one was cute - the boys spent the day making "medicine pancakes" for Elfie. 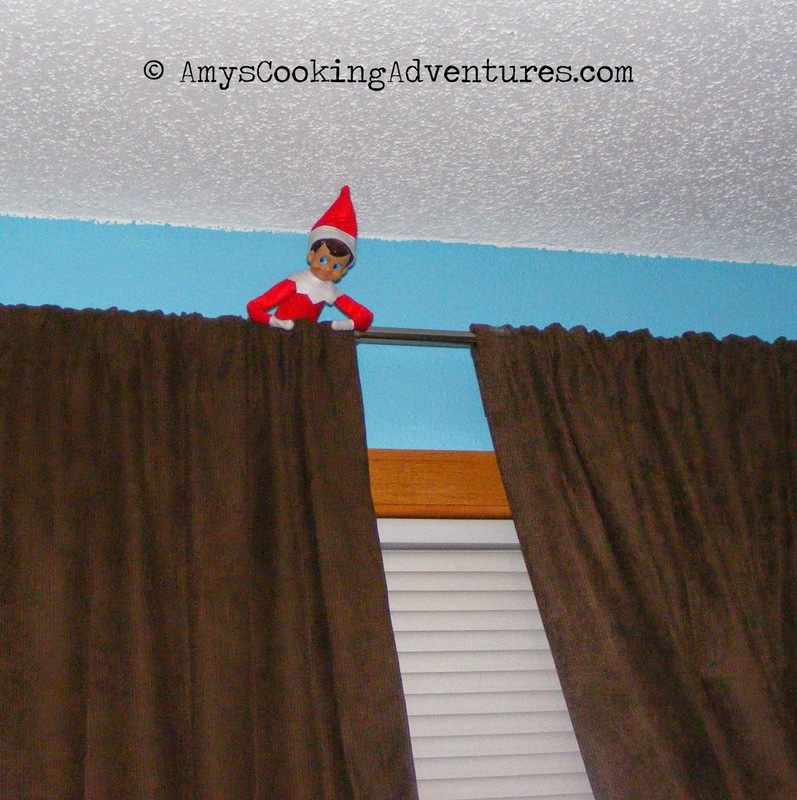 "He sees you when you're sleeping"
Okay, I was kind of creeped about Elfie being in the boys' bedroom, but they thought it was awesome. Ride 'em cowboys! 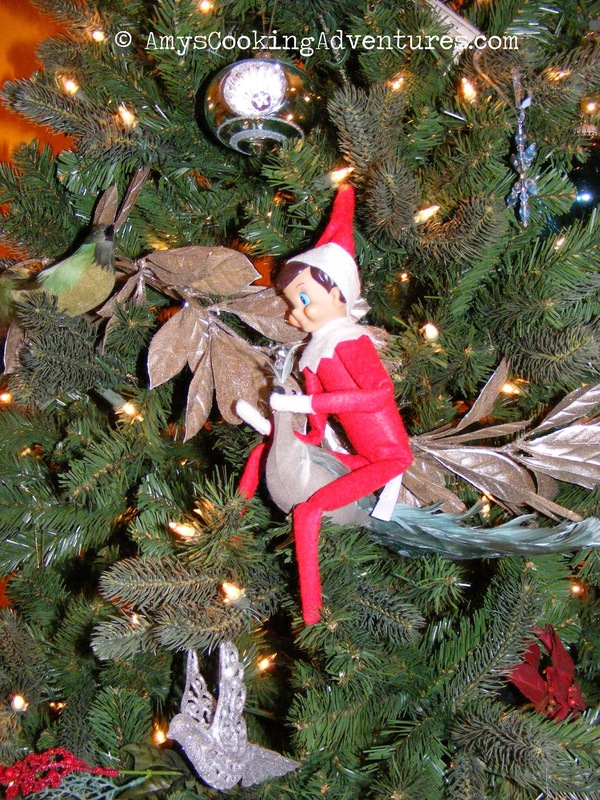 Elfie took a ride on a peacock!